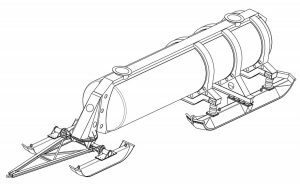 The sled is the traditional tool used to carry loads on snow or ice – it was invented in prehistoric times and preceded the wheel. The first designers instinctively conceived a simple low ground pressure device taking advantage of the low friction of snow on snow fields. 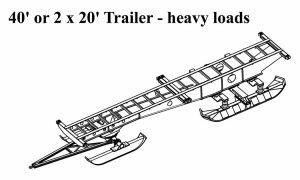 A 20 foot (6.06 m) articulated sled of 12 t capacity for dry cargo. 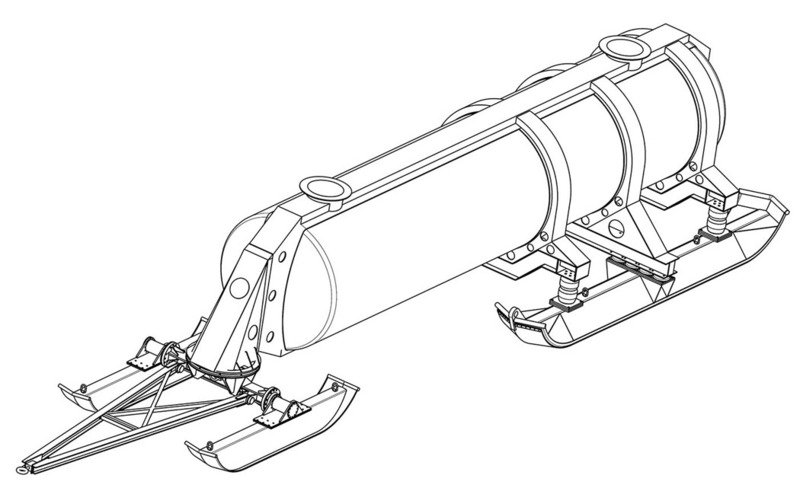 This sled has evolved toward a sophisticated reliable version with low impact on the quality of the track. 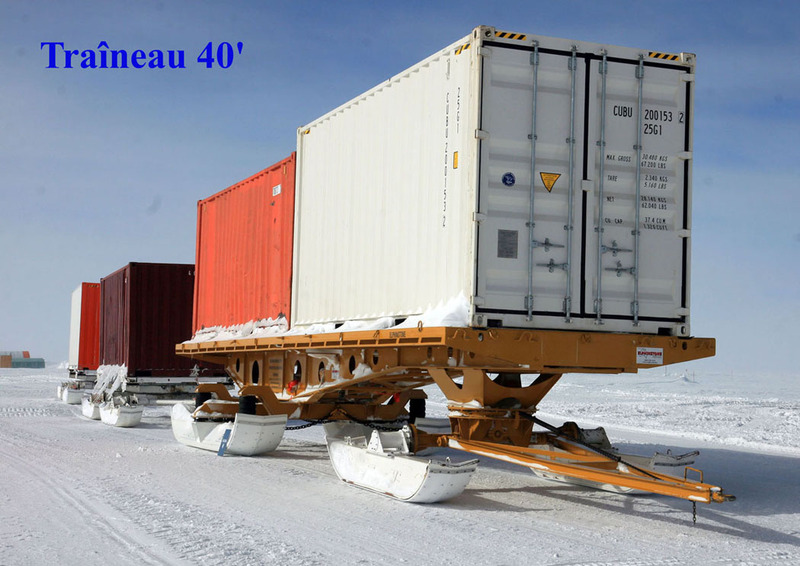 A 40 foot (12.15m) sled of 25 t capacity for dry cargo. 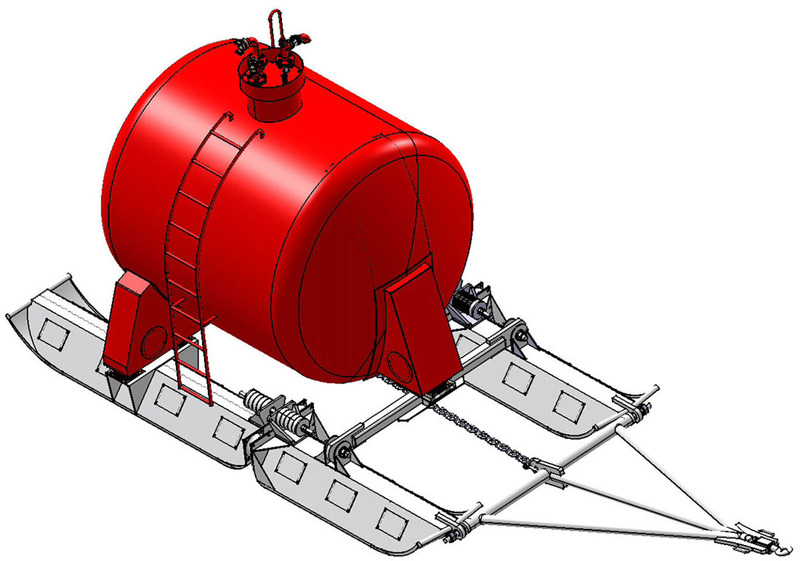 Two tank sled models dedicated to transportation of diesel fuel, the product most transported on traverses. 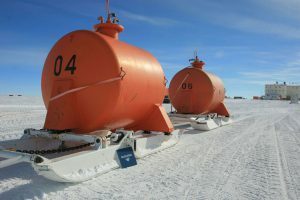 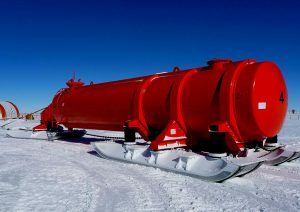 The first model, a 12 m3 tank which sits on a single pair of articulated skis via elastic devices, is mainly dedicated to the traverse vehicles’ fuel. 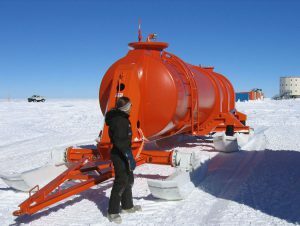 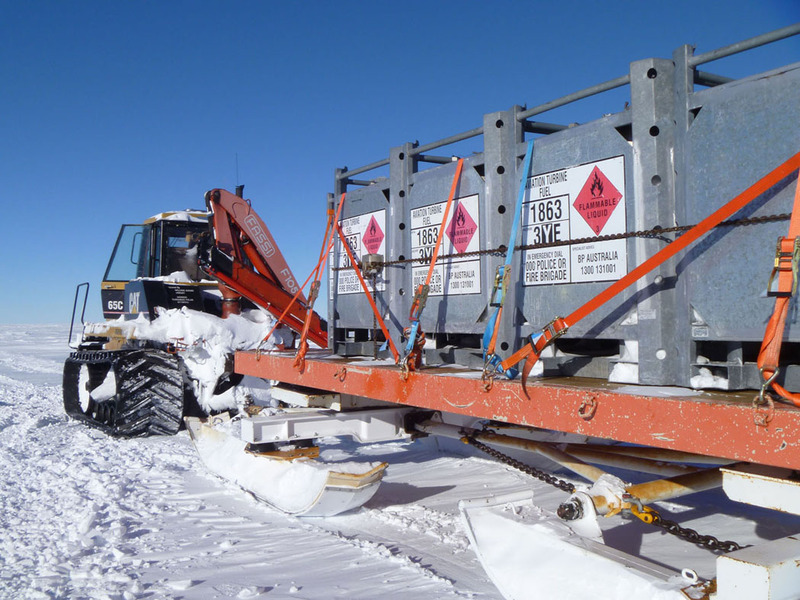 The second tank sled model, of 26m3 capacity, is used for transporting the site’s fuel. 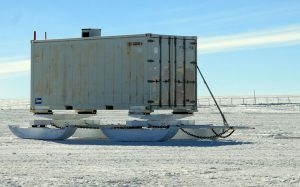 It also uses 4 skis linked to the chassis through elastic devices. 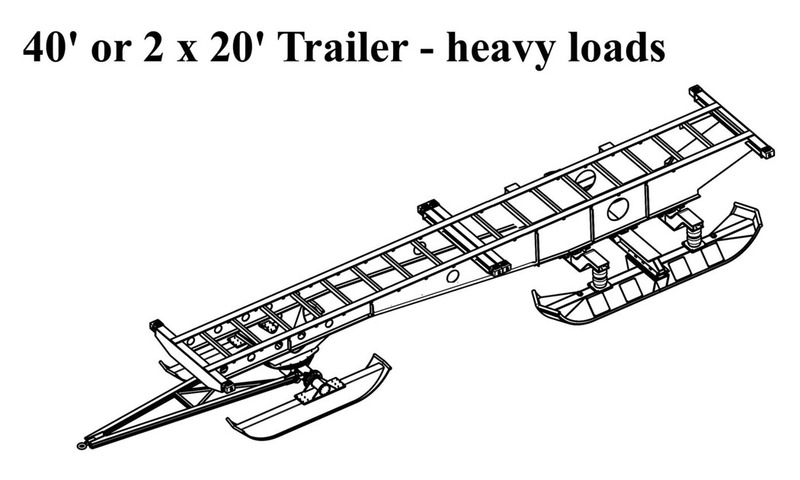 All sleds have in common a good net weight / gross weight ratio and almost no mechanical articulation whilst underway. This technological choice greatly reduces maintenance problems. A new model has recently been tested. 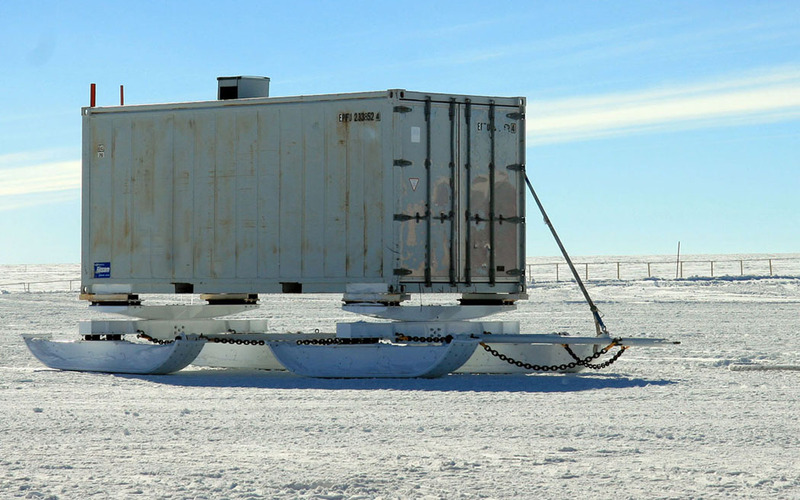 This consists of a platform, the area of a container, placed on a pneumatic mattress of 0.5m thickness. 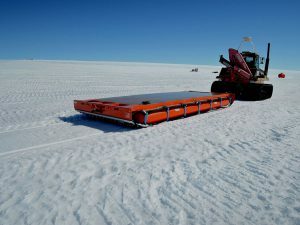 The pneumatic mattress is an intermediary between the load and the track surface. 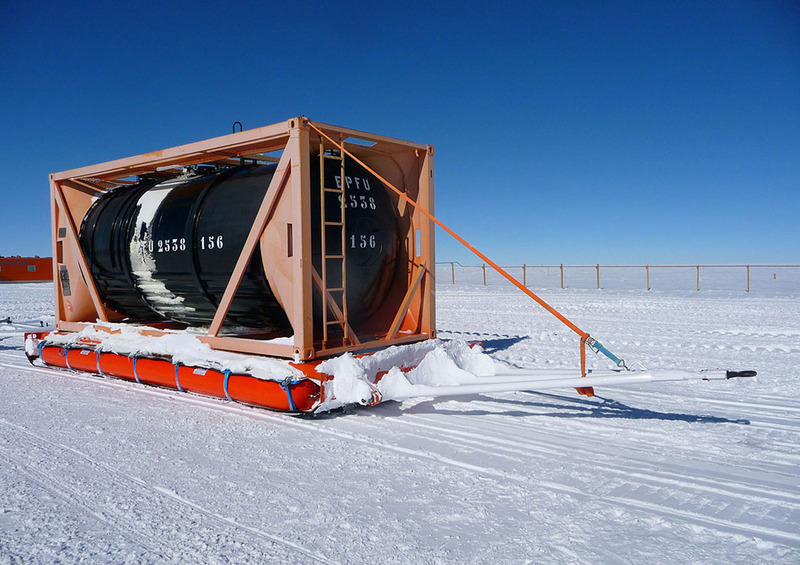 It rests on a large polyethylene sheet which is the sled’s ski. The mattress absorbs all the ground’s distortions as do sled skis but does not deform the track, and based on trials conducted and requires less effort in the forward direction compared to conventional sleds.